Looking for new Iron.? Here is a deal for you, Amazon is selling Morphy Richards Daisy 1000-Watt Dry Iron (White) for Rs 339 only if you pay via amazon pay balance. Morphy Richards is one of good companies. So, grab this awesome deal now, before it goes out of stock. 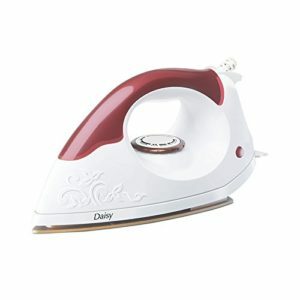 How to buy Morphy Richards Daisy 1000-Watt Dry Iron from amazon?